Whenever I hear a speaker at a conference, in church or … anywhere, I think through the message and search out what I already knew and what I needed to hear. I then evaluate what I am already applying, what I should apply differently, and how I should revolutionize my thought patterns by applying something completely new. Whew! That’s a lot of brain power for one message, isn’t it? I think I never want to be one of those people who either dismisses an entire message because I already know pieces of it or, on the opposite end, be the type of person who is such as sponge that I take in and let the message turn my life in a direction it may or may not need to go. The search for balance in life is exhausting. Such was the case during the recent SoFabCon 2013, a blogger’s conference that Collective Bias sponsored to bring bloggers together with brands to help educate, inspire and grow. There was a weird travel snafu with the ending keynote speaker so they had to pinch hit so to speak. Although not by design, I don’t think the conference could have ended on a better note. Jasmine Banks of The Brokins shared her story and welcomed two other bloggers (Heidi from The Busy Nothings and Brandi from Mama Knows it All) to the stage to tell their stories. They all shared about how they write their real stories on their blogs, even the unpretty moments. For bloggers who are working with brands and want to present a professional, “together” image, being one’s true self online is sometimes hard. Don’t get me wrong. This isn’t about blabbing every detail of your life and flaunting one’s imperfections. It’s about sharing our real selves with readers, even if they are on our blog for recipes or to learn about products. 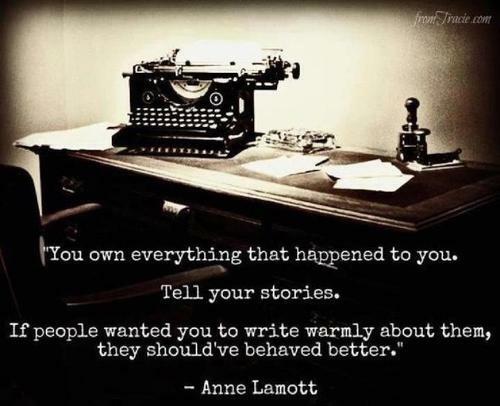 By telling our stories, we can help people relate and possibly help someone else. For example, why does each blogger write on a given topic? Take a blog about recipes. Come to find out it could be because the writer’s child developed food sensitivities and they were on a quest to find or make recipes the child could eat and enjoy. Those are real stories that inspire others. Those are real stories that sometimes we are afraid to tell if we are trying to present a specific image of perfection. Jasmine challenged all of us to write #thisisme posts-posts that revealed a little bit of our story including our hurts, our loves and our lives. In some ways, the idea of applying this stumped me. After all, since I started blogging in 2005, that’s all my blog has really been about. It’s been my reflections, my journey through life. This blog has been a form of self-expression. So I tried to think through how I needed/wanted to apply this. The truth is, I have a tendency to write about the unpretty stuff once it’s already over. I hate complaining and I prefer to offer some kind of inspiring conclusion I’ve reached when I write. I have always hoped that people could relate to my writing and find some solace or help in my words. By only talking about life when it’s pretty again, that’s a form of stylizing my life. I plan to continue talking about my learned lessons but will not always wait until it’s over. I can help myself and others by sharing the pieces of the journey. I had originally planned to turn this blog that was more than my own ramblings and instead was a place people could go and be real. Where they could find a friend, find faith, find hope. My promise to myself and readers is that will plan will move forward but with boundaries in place. Those boundaries have always been in place, but I will share them publicly: 1) any time I talk about my husband or marriage, the blog gets approved by him first. It’s his story too and not my place to blab without his OK. 2) I never publish photos of my nieces and nephews without getting permission first 3) I rarely, if ever, talk about other family members and I run the idea by them first if it is a sensitive issue 4) I never use my blog to shame others, flaunt my faults in a vain attempt to validate them, or to gain sympathy. There are many untold stories and while some never need public sharing, there are others, like my faith testimony, that people need to know. That story of faith and healing needs some background work before I share. I also have shied from sharing any potentially unpopular opinions and that stops now. I still plan to write with diplomacy and kindness, because this blog is a place of healing and joy, not to pick fights. I will no longer hide behind my journalism background and desire for peace when in reality my fear of being publicly attacked is the preventing factor. If you want to be discovered, you have to find yourself first. Express the unpopular opinions, yo! Those are the BEST kinds of posts. Finding myself is the hardest part. My #thisisme is all about my journey into finding what truly makes me tick. I love your truth…you shine in your faith and words. Thank you for sharing. Thank you all of you for stopping by and commenting! I’ve been struggling with trying to write posts that will appeal to a large audience while shying away from stories about myself. As I’m reading all of our posts about why #thisisme, it’s made abundantly clear that it’s refreshing to see that other bloggers are real and struggle. I have another post brewing in my head now after reading your post about finding balance too.